Rain hasn't stopped all week in Texas and flooding concerns are stretching into another day in center of the state. 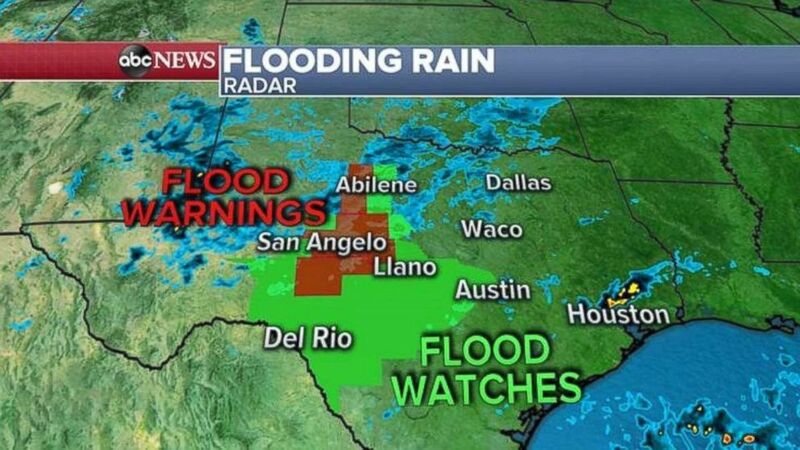 Flood warnings and watches are in effect across central and northern Texas for another day on Thursday. 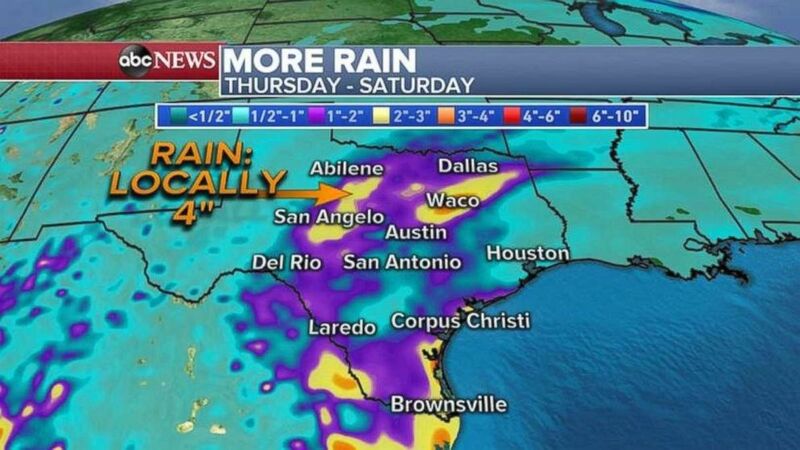 An additional 4 inches of rain could fall in some parts of central Texas through Saturday. 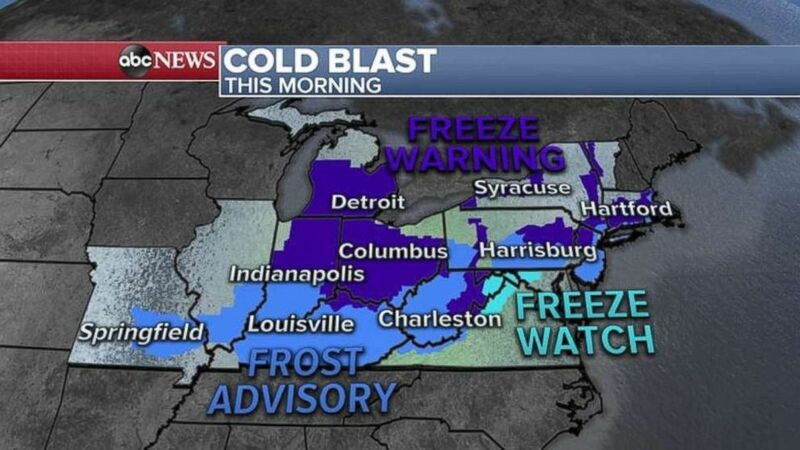 Freeze watches and warnings and frost advisories are in place for 17 states in the Midwest and Northeast on Thursday morning. 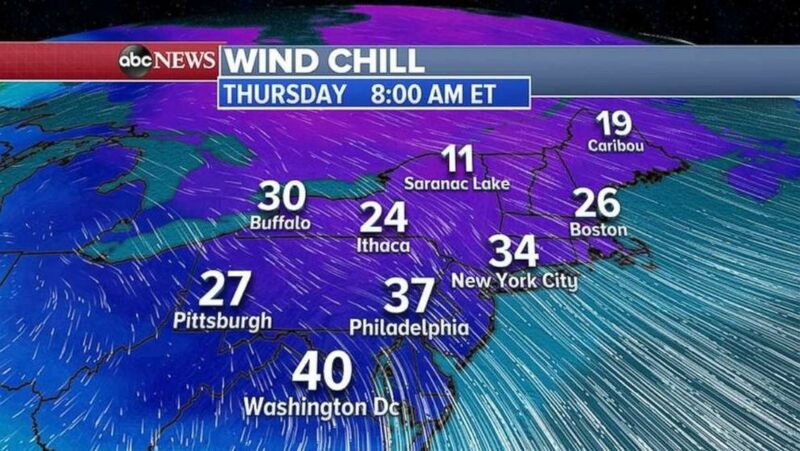 Wind chill readings on Thursday morning are in the 20s and 30s across a wide area of the Northeast.